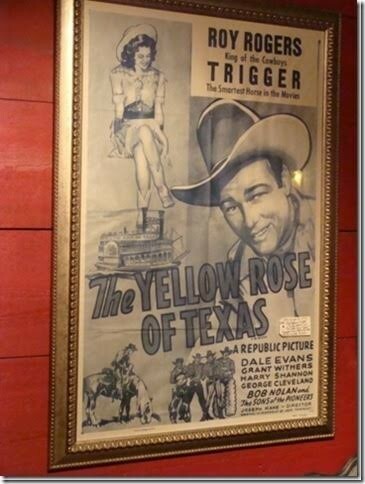 Movie Poster of Roy Rogers in "The Yellow Rose of Texas"
An original Rare Movie Poster of Roy Rogers and Dale Evans "The Yellow Rose of Texas" in Black and White. Full Sheet Framed by a Montana Artist. An original Rare Movie Poster of Roy Rogers and Dale Evans "The Yellow Rose of Texas" in Black and White. Full Sheet Framed by a Montana Artist. Please email cowboycabin@centurytel.net with questions or call 406 270-2842.